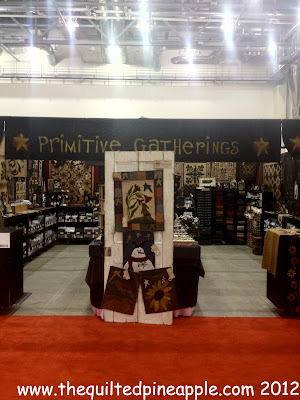 Finally, a little post about my whirlwind experience in the Primitive Gatherings Booth in Grand Rapids last month. Where to start? It was crazy busy before I even left for my trip. Starting with packing. I spoke with Lisa several times about attire. I am notorious for over packing and uncomfortable shoes. I seem to always pick fashion over comfort when it comes to footwear. Not so this time. I packed light and comfortable...very important I found when working all day in a PG Booth. Pretty cool. I have to apologize for not taking a ton of photos. I was just so busy that I completely forgot to. Two things I learned. One, setting up a PG booth is A LOT of work!! I mean it's a workout. I was sweating something awful!! Two, the Bongeans are the hardest working people EVER! No joke. This is as the booth is starting to come together. Lots of hanging curtains, samples...everything. 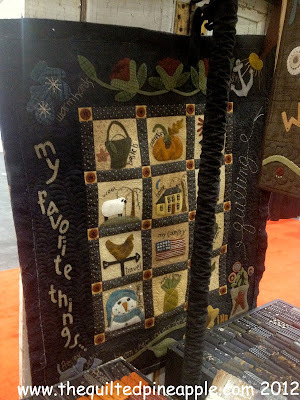 You may have noticed...I took photos of samples I quilted. :-) There are 140 samples in the booth, not including all the fabric, thread, wool, notions....precuts...etc. In order to navigate through the booth, all the samples are numbered, so then you can find the pattern/kit in the booth. Genius. 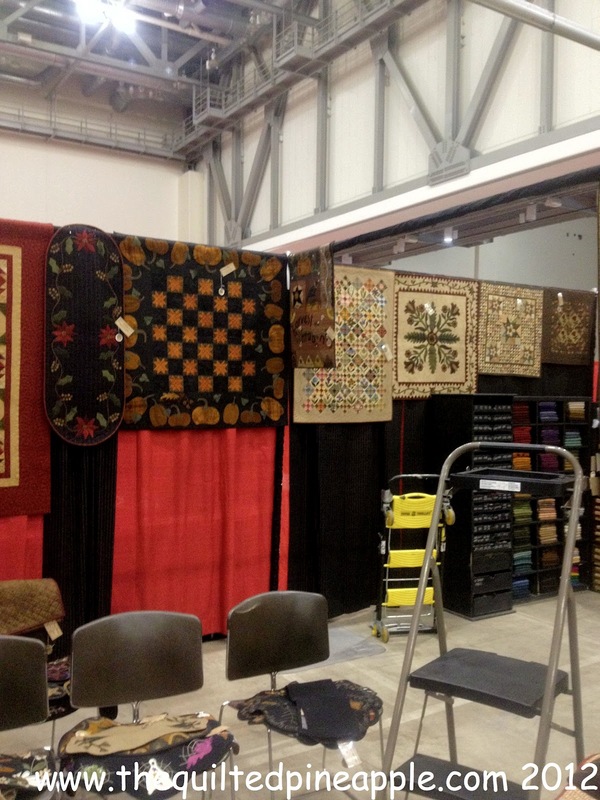 The booth is always preset at the warehouse with a printed layout, so we know exactly how to set it up at the show. Again...genius. Bumper-to-bumper traffic! Lines to get in. Lines to pay. I think poor Nick was blamed if the line got backed up, but he can only go as fast as the electronics do!! 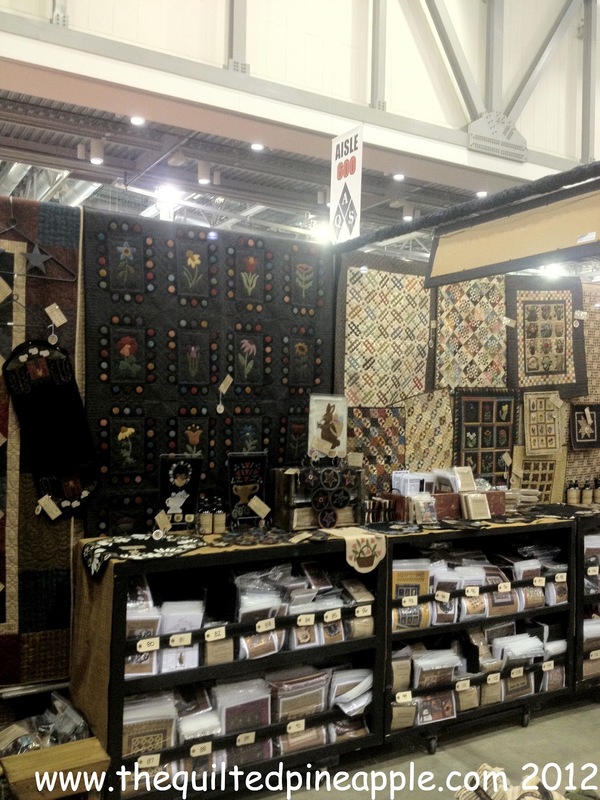 The first day of the show was the busiest!!! We didn't even get a chance to eat. 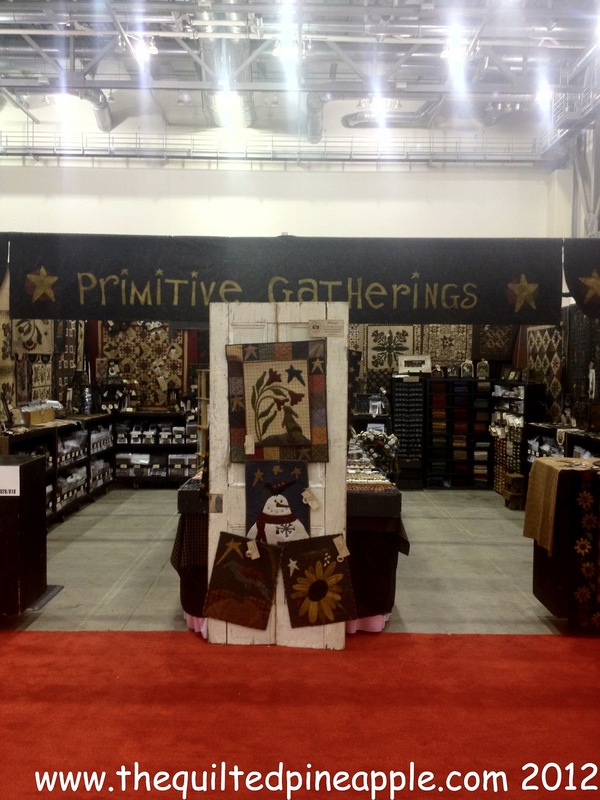 The Bongeans and their staff do an incredible job to bring you the best booth they can. I have an incredible amount of respect for how hard they all work. I made such awesome memories. Even a Toby Keith concert while I was there. It can't be all work and no play. 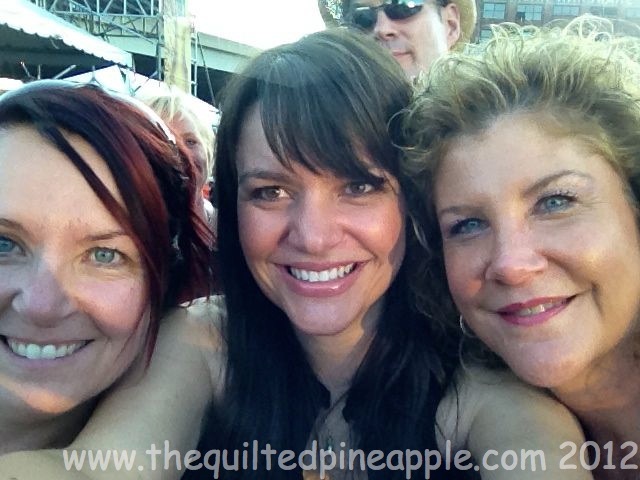 :-) Lisa, me and Christy. She and her husband, Clay had a booth at the show as well, Morgan Hoops and Stands. 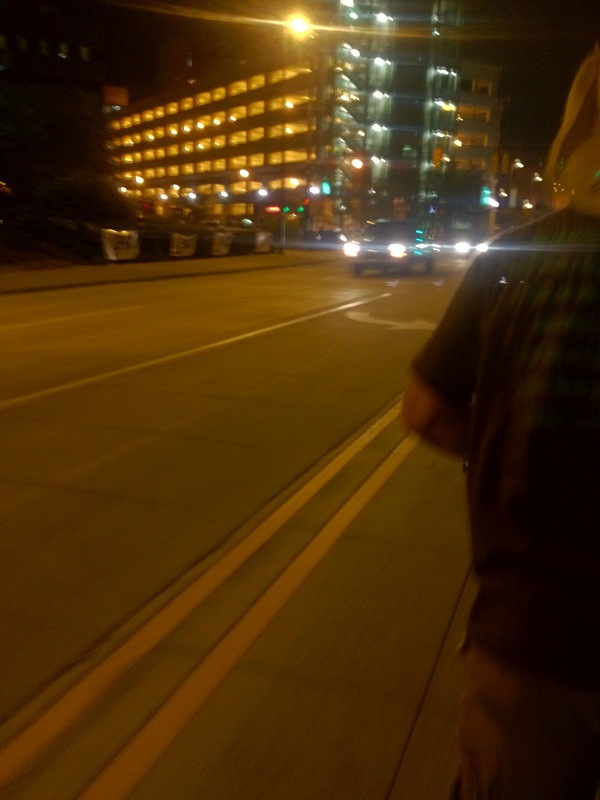 Nick even treated us to a bike taxi after the concert. Genius. We were waaayyyy too tired for anymore walking that night! It was a great time and I am so glad the show was a great success. I sure did love their numbering system. That was very wonderful!! I couldn't get over how much stuff they have in their booth. Looking at all of it overwhelmed me!! Sounds like a fun but exhausting experience! The booth looks amazing! So much fun and wonderful booths. It is nice that you got to attend and enjoy some fun time with friends. What a delightful experience you have had, Linda!! 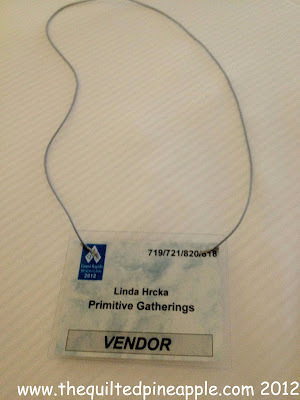 I used to work in sales and trade shows were my favorite time to work/sell/see customers. Your booth looks amazing and now that this is under your belt, H will be even more fun! So glad you had so much fun and it was everything you thought it would be! Oh Linda - looks like you have the experience of a lifetime! I'm so glad you had fun, too! Sounds like fun! 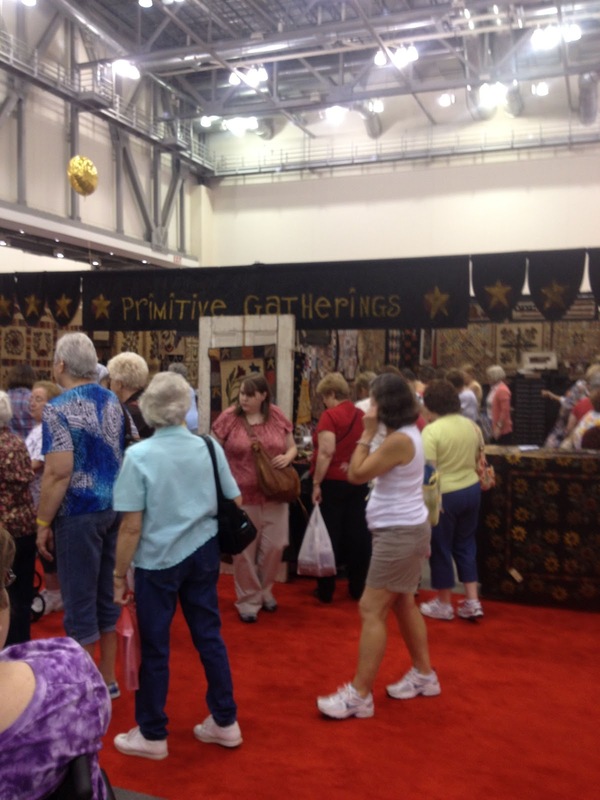 Will you be headed to the Des Moines AQS show with them? They have come each year so far and assume they will again. It would be great to meet you if you make your way here! Good luck in that place that starts with H! You will have a blast! Sounds like a wonderful experience! The big "H" should be just as fun. 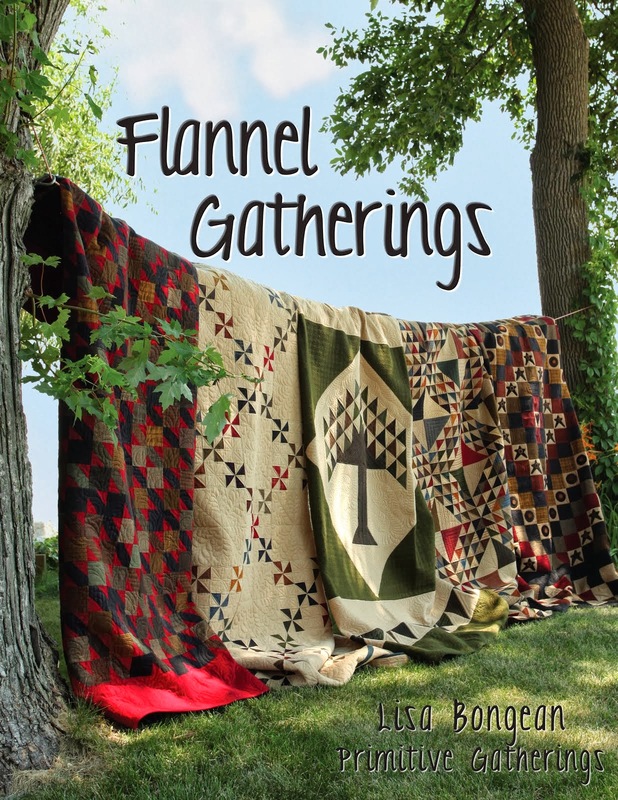 I know it is lots of work but it would be fun to meet so many quilters. I love all of Lisa's work and your beautiful quilting. Love seeing all the pics. It must have been wonderful meeting new friends and having such a nice experience! 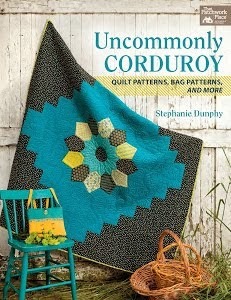 Wow, lots of work, but looks like lots of fun too! !